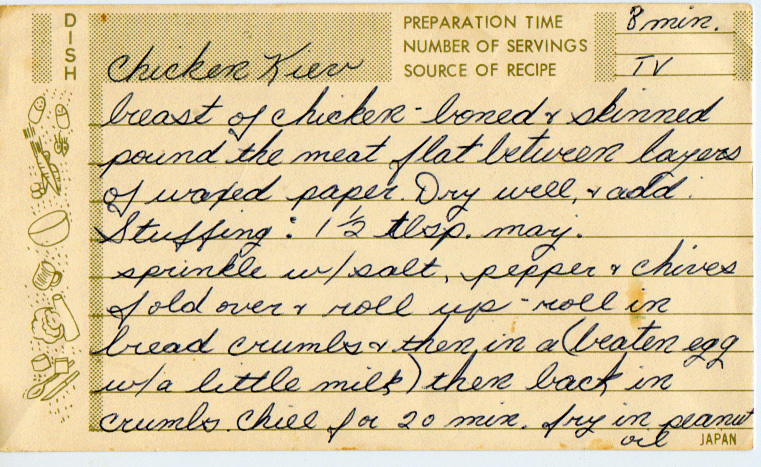 The origin of this recipe is complicated, but its cultural significance is clear. 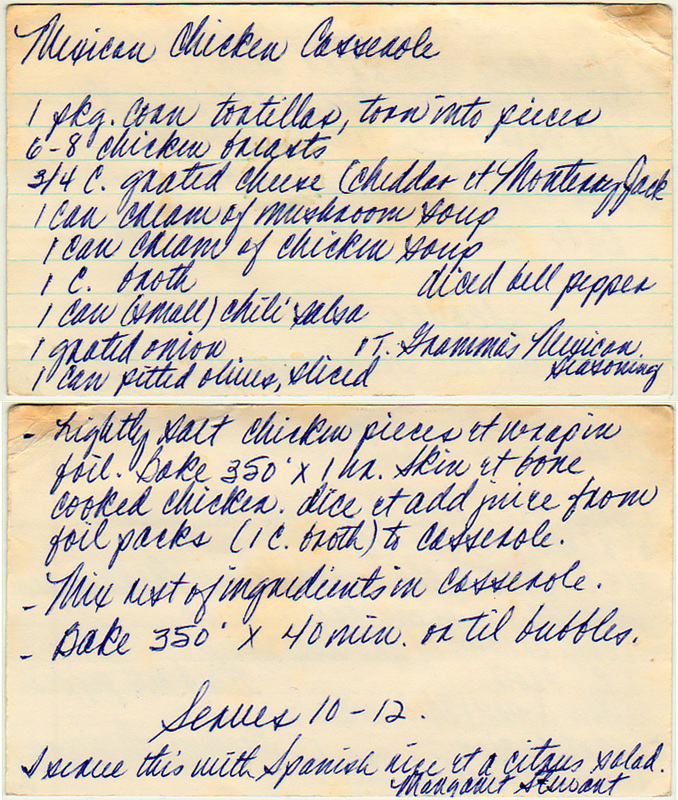 This and a beer and I’m happy. 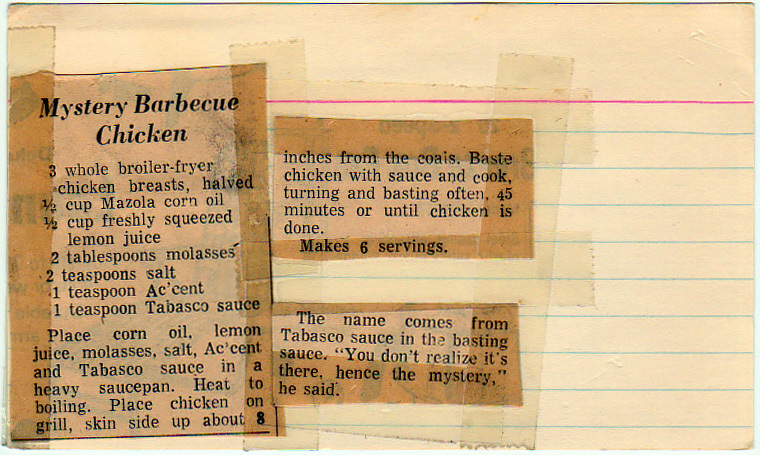 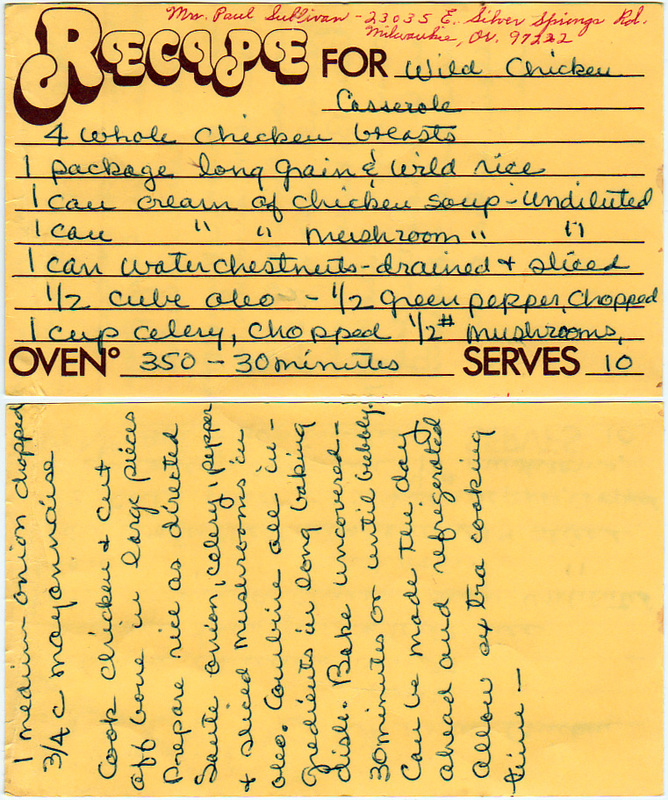 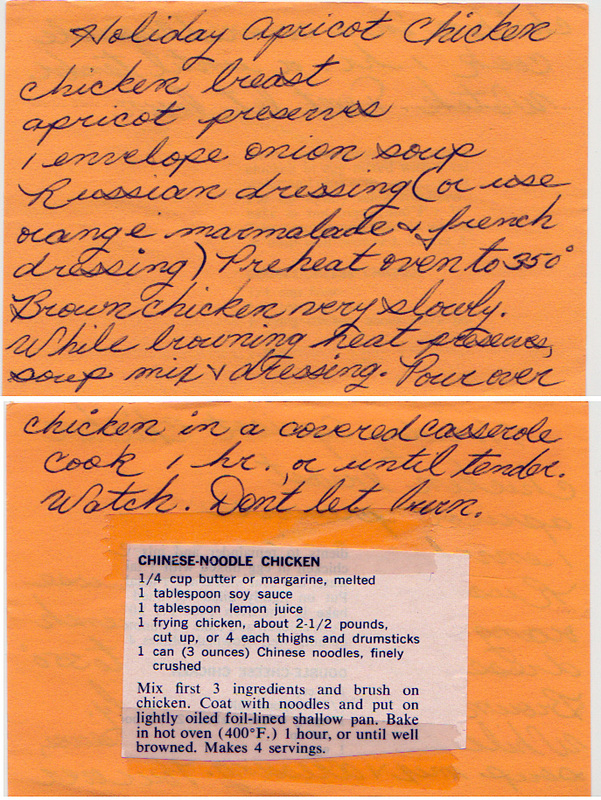 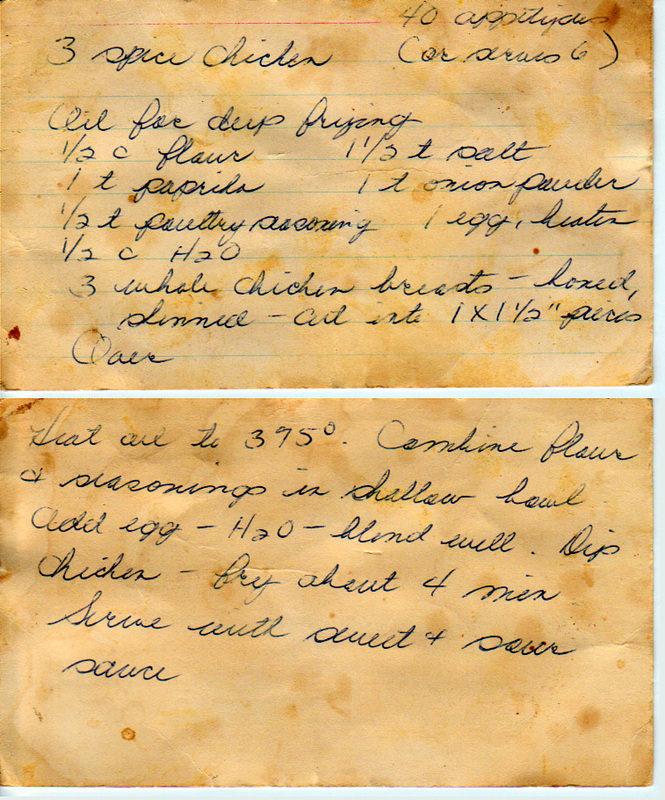 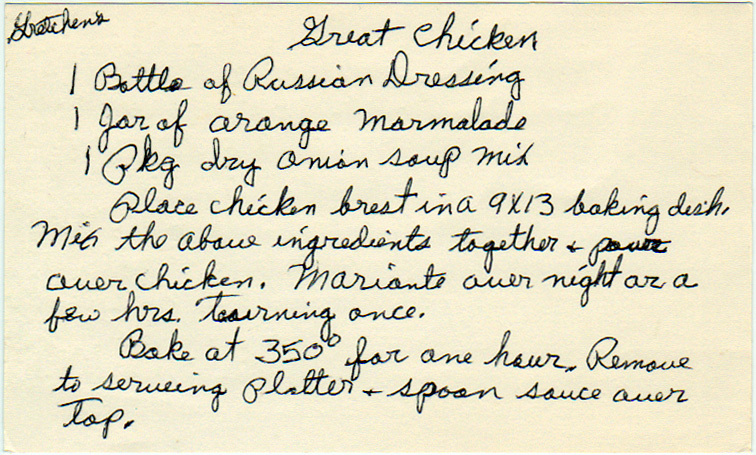 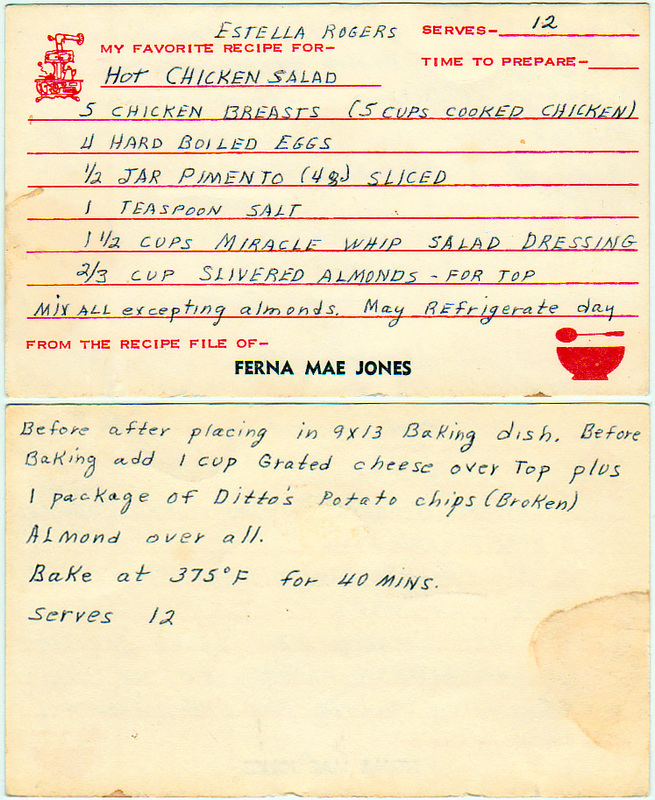 And a clipped recipe for “Chinese-noodle chicken” that was taped to the card.